Heat Hero High Pressure Unit is used to link in solid fuel boilers to high pressure dual heating systems like gas boilers or heat pumps. 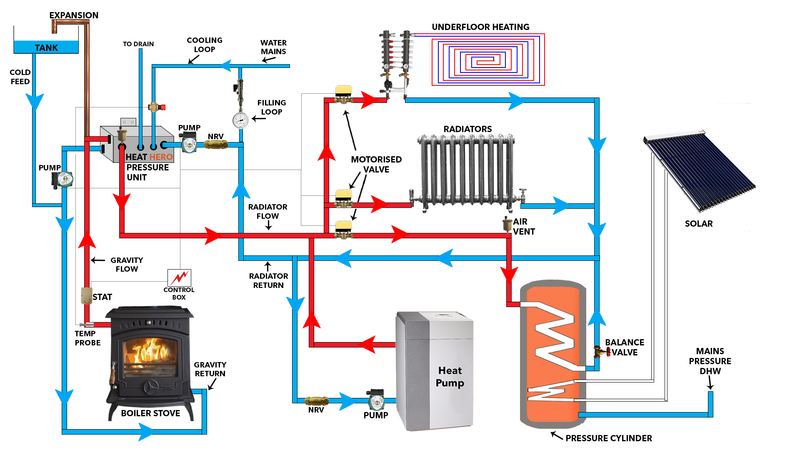 The radiator side of the heating system operates under mains pressure for strong circulation and the solid fuel boiler is safe with an open vent, gravity and has a built in cooling loop in the event of electrical failure. Heat Hero High Pressure Unit also has two Built in free flow 44 KW heat exchangers that allow for a, high efficiency strong heat transfer and good circulation. Solid fuel boiler is safe with an open vent and gravity. 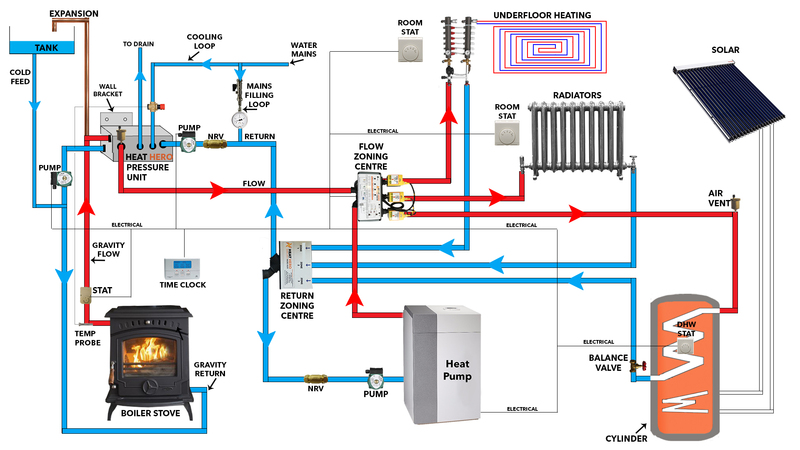 Mains water pressure circulating around radiators or under floor heating. Compatible with high pressure gas boilers and heat pumps. Two 44 KW Heat exchangers for strong heat transfer. Can be used with pressurised cylinders and single coil open vented cylinders. No digging up floors or changing cylinder.